Meet Mrs. Teresa (Teri Jo) Jensen! 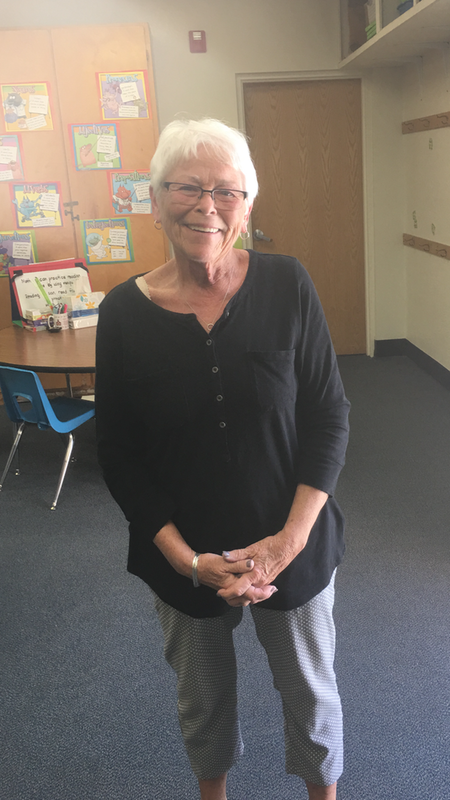 Mrs. Jensen has been with our district for two years, and both have been at Fort Mojave Elementary. She is originally, however, from Isanti, Minnesota. She began her educational journey at Anoka Ramsey Community College where she earned her A.A. degree. On from there, she attended St. Cloud State University to finish her B.S. in Elementary Education. Finally, she finished her college career with a Master's in Instruction and Curriculum from University of St. Thomas. An interesting fact about Mrs. Jensen: In her last job, she lived on a playground in a trailer in Wikiieup. While here, she was the only teacher for K-8 in addition to being the Principal, Human Resources, Payroll, and Accounts Payable. Mrs. Jensen's most rewarding moment while a Dust Devil was when she was given the opportunity to loop with her class (keep the same group of kids by moving up to teach them another year). She feels that the Fort Mojave staff is an incredible group of professionals who unanimously place an emphasis on the children and academic success. She also appreciates receiving a "good morning" from Superintendent Mr. Crow while he was passing through a crosswalk on Highway 95 while she was holding a "Please Vote Yes" sign for MVESD. Fort Mojave and MVESD have thoroughly enjoyed the time with Mrs. Jensen and will miss her when she takes her much-deserved retirement!